Nothing Less Than the Best in Bremerton! Our elite contractors have access to superior materials, ongoing training, and lasting warranties. 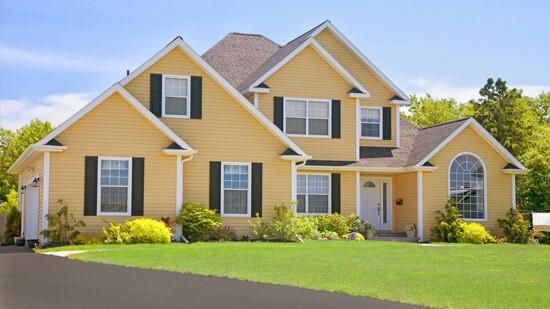 Our main focus is providing select local Bremerton roof installation services. We are one of only five companies in all of Washington who are IKO ShieldPRO Plus+ Roofing Contractors. Plus, our team members are also proud GAF Master Elite Roofing Contractors. These designations are proof that, in addition to being highly skilled roofing experts, we're also able to provide the best materials for your Bremerton roof replacement, as well as the excellent product warranties from these brands. The odd storm now and then may only do minimal damage to your roof. If you notice a few missing shingles or even have a little water finding its way inside the home, our licensed and certified contractors can complete a roof inspection to identify exactly what's wrong. If the damage is fixable, we offer complete local Bremerton roof repair services—everything from replacing shingles to sealing up leaks. The gutters on your home work hard to prevent overflowing water, nesting animals, and organic matter from clogging up the system. Whether you need to install gutters for the first time or are looking to repair or replace an existing system, our Bremerton roofing contractors are fully trained to complete any work needed—quickly and effectively. We can fix a few problem areas, replace the entire system, or install protective gutter guards to ensure long-lasting performance. Tristate Roofing also offers window replacement and installation services for area customers. We have a wide selection of vinyl windows in many styles to accent your home's architecture and improve its energy efficiency. Grow herbs in a garden window. Make cleaning effortless with double-hung windows. Or make the most of that stunning exterior view with a large picture or bow window. When it comes to style, we have exactly what you need! Your home is your most important asset, so make sure to pick a roofing company known for solid experience, quality materials, and courteous, attentive customer service. Tristate Roofing ticks all three of these boxes. We've even been recognized as the 153rd top remodeler in the nation by Qualified Roofers Magazine in 2016. Find out what makes us one of the premier roofers in Bremerton during a FREE, in-home consultation and roofing inspection. Get started today by calling us or filling out our simple online form to request your FREE price estimate!